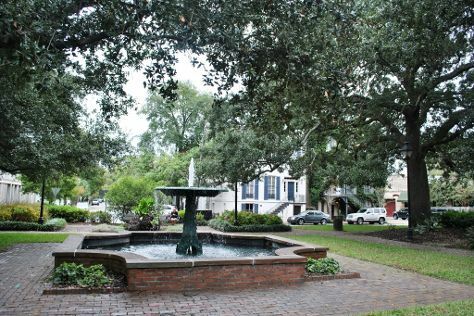 Start off your visit on the 20th (Tue): contemplate the long history of Flannery O'Connor Childhood Home and then make a trip to River Street Savannah. Get ready for a full day of sightseeing on the 21st (Wed): admire the landmark architecture of Historic Savannah Theatre, then contemplate in the serene atmosphere at Cathedral of St. John the Baptist, then tour the pleasant surroundings at Forsyth Park, and finally go on a hair-raising tour with a ghost and vampire tour. For reviews, maps, where to stay, and other tourist information, read our Savannah trip itinerary maker website . New York City to Savannah is an approximately 5.5-hour combination of bus and flight. You can also fly; or drive. When traveling from New York City in November, plan for somewhat warmer days in Savannah, with highs around 70°F, while nights are about the same with lows around 49°F. Finish up your sightseeing early on the 22nd (Thu) so you can travel to Atlanta. Atlanta is known for zoos & aquariums, museums, historic sites, parks, and fun & games. Your plan includes some of its best attractions: admire nature's wide array of creatures at Georgia Aquarium, look for gifts at Krog Street Market, steep yourself in history at Centennial Olympic Park, and admire the natural beauty at Atlanta Botanical Garden. Use Inspirock's suggestions to plan your Atlanta trip and find the best activities and attractions for your vacation. Traveling by flight from Savannah to Atlanta takes 3 hours. Alternatively, you can take a bus; or drive. Prepare for a bit cooler weather when traveling from Savannah in November: high temperatures in Atlanta hover around 65°F and lows are around 44°F. Finish your sightseeing early on the 25th (Sun) so you can travel back home.